I'm still tossing about a proper title for this story. 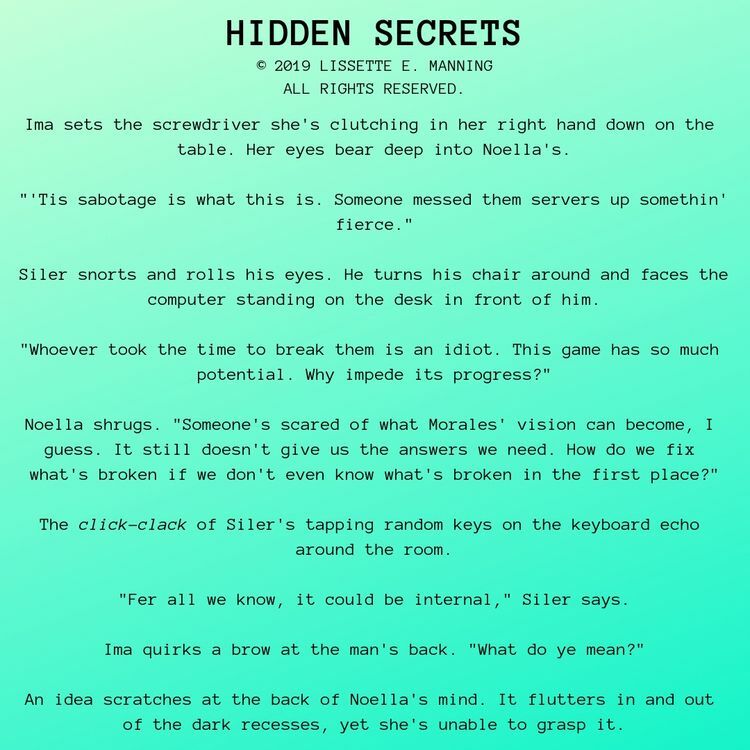 For some reason, I feel what I've titled it doesn't quite mesh, even if there are hidden secrets to be found within what I've written. May end up changing it. We'll see. In the meantime, here's a #snippet of what I've written. Enjoy!